Wires & Wood are a 4 piece bluegrass band based in Auckland, New Zealand. The music they play is drawn from a wide variety of sources - from songwriters as diverse as Bill Monroe, JJ Cale, Robert Earl Keen and Tim O'Brien. The music ranges from sad and lonesome to driving and dynamic. Wires and Wood cover the spectrum, with superb lead singing by mandolinist Micheal Young, ably backed by Dave Warren on flat-top, Bryan Christianson on the Mastertone and with Garry Trotman holding it all together on bass. Micheal Young : Mandolin / lead vocals. 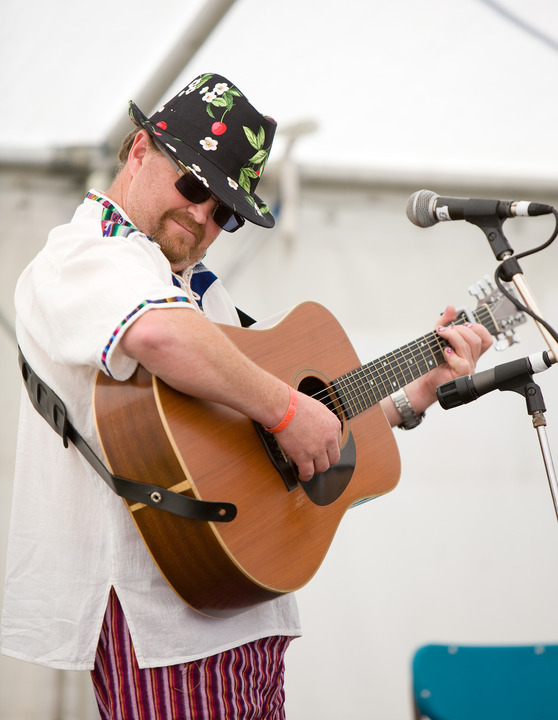 Micheal moved to New Zealand from his native North America in the mid 1990's and quickly established himself in the local music scene. 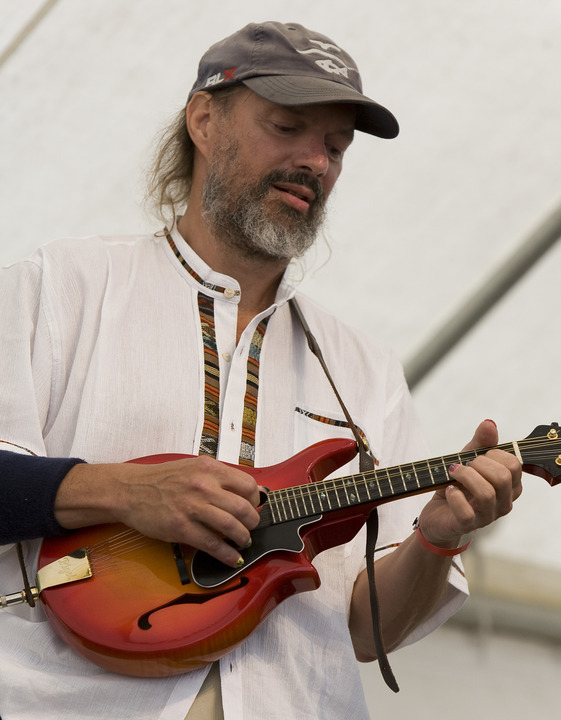 He brings a wonderfully rich lead voice to the vocals and sparkles with his creative mandolin playing. Dave Warren : Guitar / tenor vocals. Dave has been playing Bluegrass guitar since he was a small boy and is one of the finest players in the country, with his solid rhythm work and beautifully styled lead lines. Bryan Christianson : Banjo / baritone vocals. 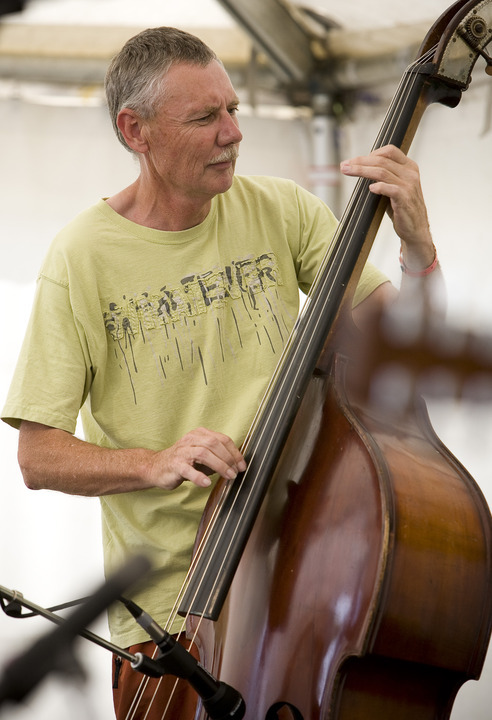 Bryan plays banjo in his own unique style, mixing in the many aspects of Bluegrass music that he has come to know in the years he has been playing. Wires & Wood are in the fortunate position of having several players available for filling out the bottom end. Whoever is available gets the gig!!! Alec is well known for his on-stage antics and is a natural entertainer. 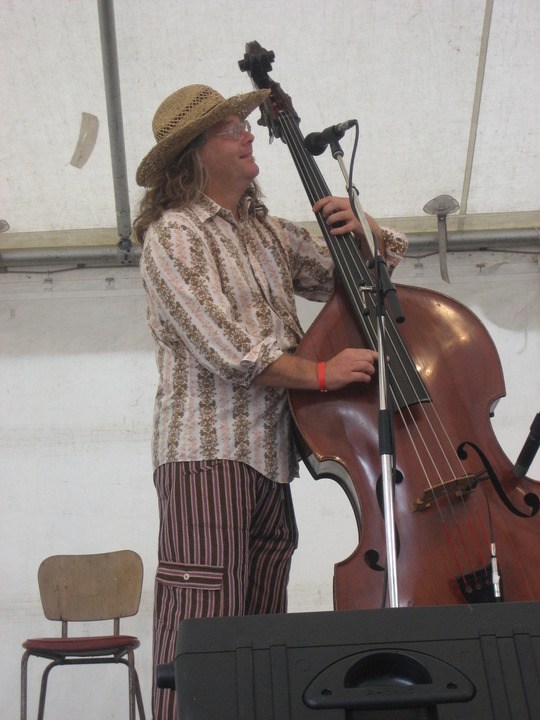 As well as playing double bass he also does a fine job on 5-String banjo. 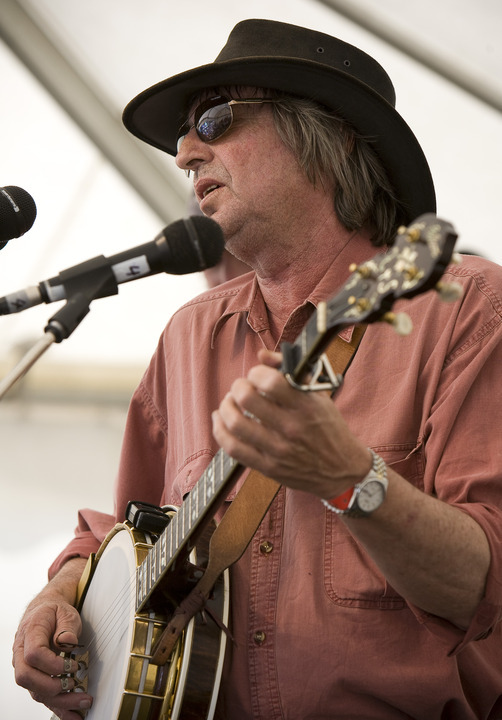 Garry comes to Bluegrass with a deep love of early country music. Equally at home on his much loved Fender Mustang as he is on a doghouse bass, he does a fine job of under-pinning the band. 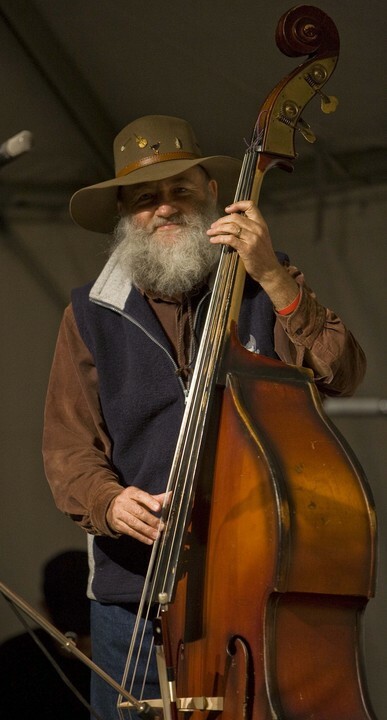 Lott plays wonderful bass, steeped in the traditions and flavours of jazz but with a superb feel for whatever the genre in which he finds himself.